John Lennon & The Plastic Ono Band, “How Do You Sleep?” (Takes 5 & 6, Raw Studio Mix Out-take). 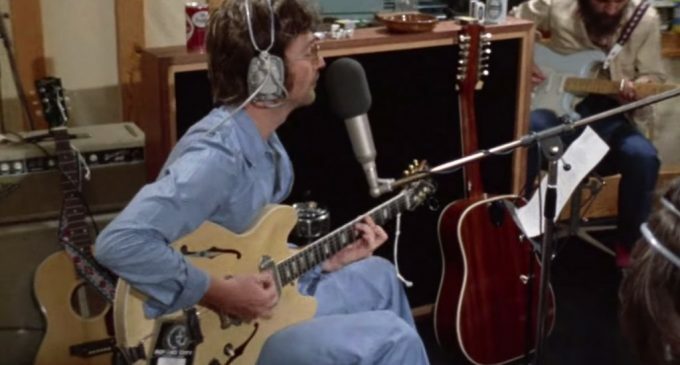 Previously unseen raw footage of ex-Beatles John Lennon and George Harrison during an intimate recording of the electric track “How Do You Sleep,” was released Friday (Sep 21). The song, originally released in 1971 on Lennon’s Imagine album, is directed at former Beatles bandmate Paul McCartney following the band’s break-up the previous year. 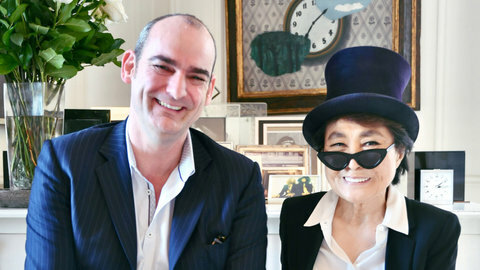 The relationship between the two became rocky following the song’s release, as seen in a letter between them from the same year that was recently auctioned. 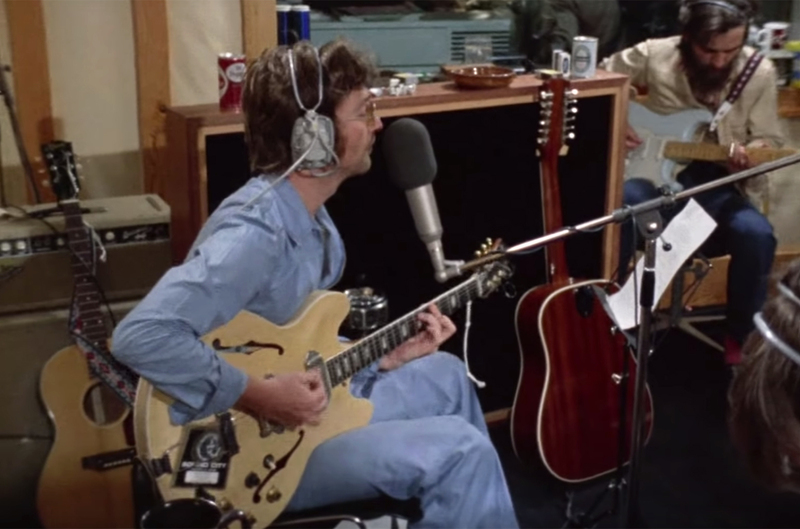 Recorded in Ascot, England, the video shows Harrison playing on Lennon’s blue guitar along with longtime friend Klaus Voormann on bass, Alan White on drums, Rod Lynton and Ted Turner on acoustic guitars, and a few other listeners present.